Safety is paramount when aging parents remain in their home. Much of their comfort and peace of mind is tied to their ability to independently utilize the kitchen and bathroom and take care of daily tasks. Remaining independent can have a tremendous impact on their quality of life. However, the volume of furniture, keepsakes, clothing and other items that seniors can accumulate over a lifetime can clutter and clog a home and can quickly become a major safety issue if not addressed. Here are some tips for identifying and eliminating dangerous clutter. The physical items that a senior has accumulated over many decades may be filled with nostalgia and tied closely to old memories. It can be emotionally difficult for seniors to let go of items, and so it’s important to be sensitive to their feelings. When decluttering a home, it may be helpful to sort items into categories and find ways to store or preserve those that are the most precious. A cluttered home can be difficult to navigate – particularly for those with balance issues – and may be filled with tripping hazards. Moving through a crowded room can lead to other accidents too, like bumps on arms or legs. Clutter can also make it more difficult to keep track of important items, such as medications or cell phones. Additionally, a tightly-filled home can exacerbate environmental issues such as a buildup of dust or mold, which can lead to health issues. Reducing clutter in the home has benefits beyond the addressing of safety issues – it can lower stress levels and create a more emotionally secure environment. Seniors living in a clean and orderly home are at lower risk for breathing disorders and allergies and may even get a better night’s’ sleep. 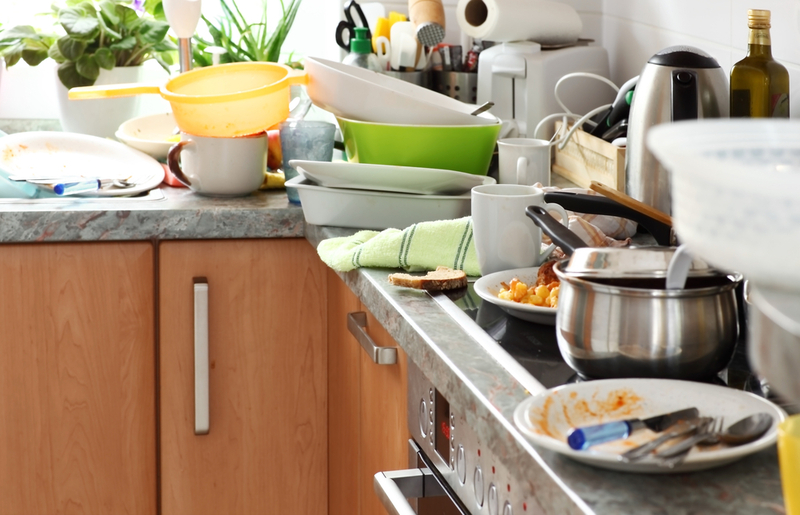 Older adults may also be more inclined to invite guests over as they won’t have to suffer the embarrassment of having a messy home. Sort items into four categories: “put away”, “donate or sell”, “storage” and “trash”. Make sure that every item has a category. Declutter one room at a time so that the project is more manageable. If the decluttering project seems overwhelming at any point, consider enlisting the help of a professional organizer. Donate any unused furniture, household goods or clothing that are in good condition. Several charities will even pick-up donations. Once the decluttering process is complete, hire a professional cleaning company to perform a good, deep clean of the home. After the final cleaning, consider hiring a caregiver who specializes in personal home care and can provide light housekeeping in addition to assisting with the activities of daily living. Eliminating clutter from a loved one’s home can be a challenging and emotional experience. Call La Nurse Home Care Registry at (561) 279-9885 or contact us online. We can refer caregivers for light housekeeping in addition to assistance with activities of daily living, maintaining safety, doctors appointments and errands.